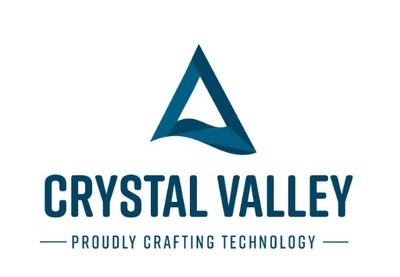 Crystal Valley Tech - Jobs Expo Dublin, 27th April 2019. We’re pleased to announce that Crystal Valley Tech will be recruiting at Jobs Expo Dublin. Register for our FREE careers event and get to talk to their team on 27th April in Croke Park’s Cusack Suite..
Who are Crystal Valley Tech? Crystal Valley Tech is a not for profit Company promoting South East Tech. Set up a year ago they have held 2 Tech Summits with 98 South East Tech firms present, including EI /IDA/ Start ups in many sectors and with a great Tech Diversity on offer, VR, AR, AI, Big Data, Web Dev, Cloud. Check out the jobs button on CrystalValley.io to see who is hiring. Their objective is simple – to make the South East the location of choice for ICT companies and Professionals. Crystal Valley’s mission is to Promote and Support Tech in Waterford and the South East. In addition to influencing Local / Regional and National Policies – they plan to have working groups that will support their mission. Furthermore, they will host regular events that will cultivate a Tech Community that everyone will benefit from. Crystal Valley Tech has the full support and membership of Enterprise Ireland, IDA Ireland, Waterford Chamber of Commerce.